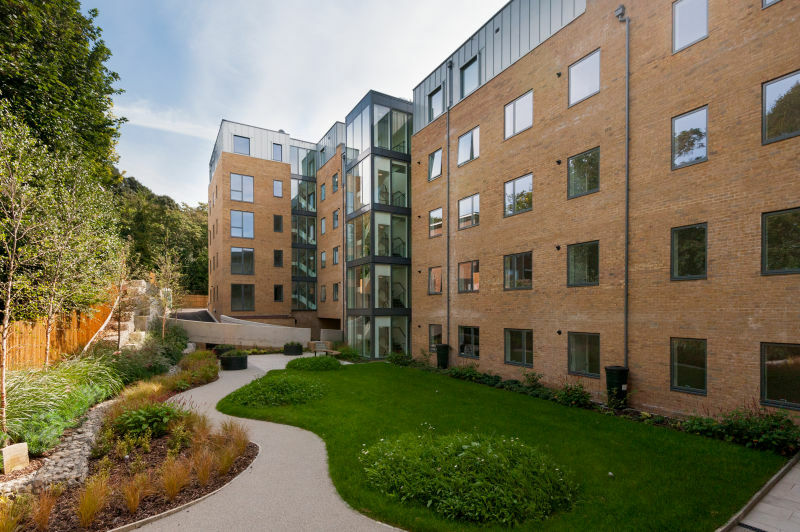 Hyde New Homes has collaborated with Brighton-based, Chelsea Flower Show medal winner Nicholas Dexter, to create innovative outdoor living at their One Hove Park development. The shared vision was to establish an attractive and inviting environment for residents and to create a green belt connecting One Hove Park and Hove Recreation Ground; and this goal remained a crucial aspect to the bespoke design and overall success of the development. At One Hove Park, a wildlife corridor was created to act as an extension to the surrounding green space in Hove and provide a haven for wildlife and nature. The sensitive approach taken by Hyde New Homes has been endorsed by ecologists monitoring the setting and was highlighted as an exemplar of best practice. The gardens are relaxed and informal incorporating organic curves and mass planting which will evolve through the seasons providing a wealth of colour and habitats for wildlife to thrive. This includes wildflower mounds and mature native trees planted between units to ensure privacy between the secluded gardens. The landscape designer and architects worked in a close partnership collaborating on all aspects of the building design, planting and gardens. This close partnership has been a key feature to the overall success of the development, which is determinedly individual in its character yet respectful of its surroundings, in particular its relationship with the parks. This success has already been recognised at the UK Property Awards in 2015. Hyde New Homes approach to placemaking and their determination to produce a building and setting of the utmost quality has been quite refreshing. My personal desire to provide a legacy of quality has been fulfilled through careful attention to detail and high quality workmanship. As a designer, I was encouraged by Hyde New Homes to use my creativity and passion to produce playful and inventive outdoor areas and to provide a haven for the wildlife and fauna which now inhabit the development. As a resident of Brighton & Hove I feel proud to be associated with this hugely successful development”. Debbie Small, Director at Hyde New Homes comments on the collaboration, “Teaming with Nicholas and his studio has been a fantastic experience. From the very early stages of both One Hove Park and SuperB we wanted to find a landscape designer who would help us craft distinctive and unique outdoor spaces which can be enjoyed by both the residents and the local wildlife. By creating these enviable gardens with Nicholas, we have succeeded in bringing outdoor space back to the forefront of new build living”. One Hove Park is a stylish new build development from Hyde New Homes. There are 10 private sale apartments and penthouses remaining in a range of two and three bedroom designs. These are priced from £399,950. Located in the highly sought-after residential area between Hove Park and Hove Recreation Ground, the development is just 5 minutes’ walk to Hove station. With modern architecture and stylish contemporary finishes along with the considered positioning of communal gardens and a ‘wildlife corridor’, One Hove Park forms a natural green link between the two neighbouring parks. A new, fully fitted show apartment is now available for viewing. For further information please call joint agents Currell New Homes and Oakley Residential on 01273 964 604 or visit www.onehovepark.com.